The national park located within the sub-provincial boundaries of Kahta of the province Adiyaman is 9 km to Kahta and 43 km to Adiyaman. The national park is well known with the fact that it has the Tumulus and sacred places belonging to the King Anriochos of Kommagene and it has the Mountain Nemrut. 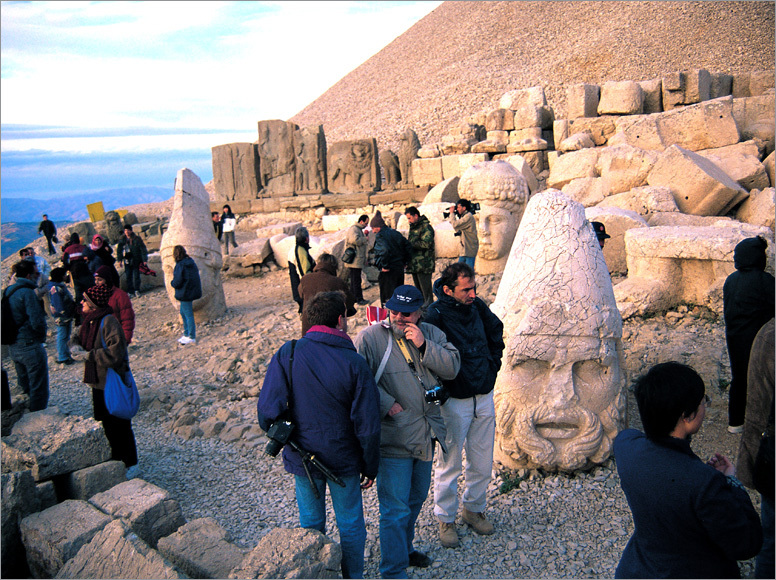 The tumulus and giant sculptures of Antiochos, Arsameia (ancient Eskikale), Yenikale, Karakus Hill and Cendere Bridge are of the cultural places within the National Park. Mithradates I established an independent kingdom in this region which used to be called as "Kommagene" in ancient times and his son Antioches I developed that kingdom during his reign. The independency of the kingdom was ended as a consequence of losing the war against Rome. 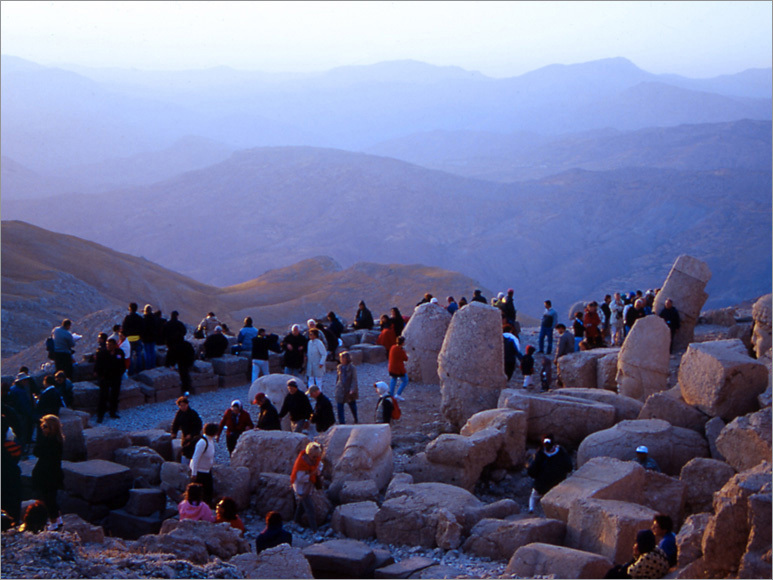 The Tumulus of Antiochos and the sacred places at the peak of the Mountain Nemrut fascinate the visitors. The Tumulus is at the height of 2150 meter , and built on the hill covering the passages and plains of Euphrates River. The entry to the tumulus is in the north; and in the west is there the park in the shape of a terrace where the religious worships took place. In this part, there are giant sculptures in the sitting position having the height of 7 meters among the lion and eagle sculptures; these sculptures are surrounded by huge stone blocks having inscriptions and relieves. The capital city Aesameia of Kommagene is located near Old Kahta Village. There is the sacred place of Mithridates in the city. There are water storage tanks, Turkish bath, a mosque, and a secret water way flowing to the Kahta Stream within Yenikale established on the stiff rock cliffs around Kocahisar Village. Single Vaulted Cendere Bridge is on two main rock cliffs where Cendere Stream, one of the stems of Kahta Stream, narrows. In 10 km southeast of Arsameıa and at the height of 21 m is there Karakus Hill Tumulus where the women of the kingdom were buried. In the forest are there oak types and wood lots. Many wild animals live in there; the fauna includes bears, wolves, jackals, foxes, and gluttons. You have the accommodation, food & beverage facilities within the National Park. There is a hotel in the Mountain Nemrut and pensions in Karadut and Kahta to stay.